Rock Climbing is a brilliant activity that's suitable for everyone (you don't need to be strong or light!). 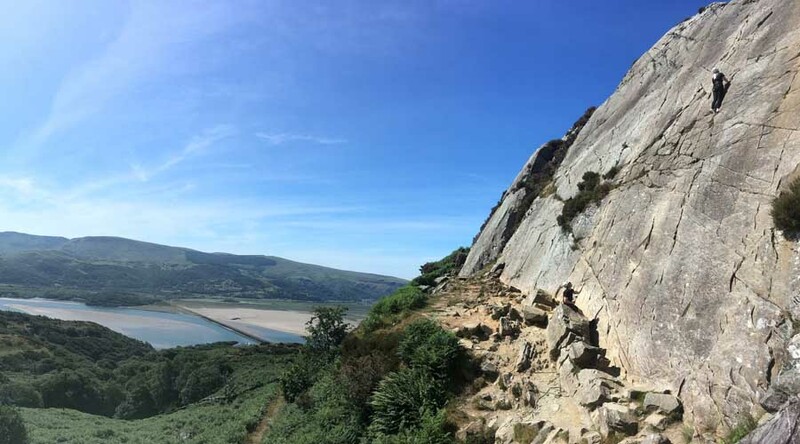 We climb real rock, outside, on one of Snowdonia's best cliff faces; the scenery is spectacular. We teach you what you need to know and give you the skills and confidence to scale the rock. We also run rock climbing courses. 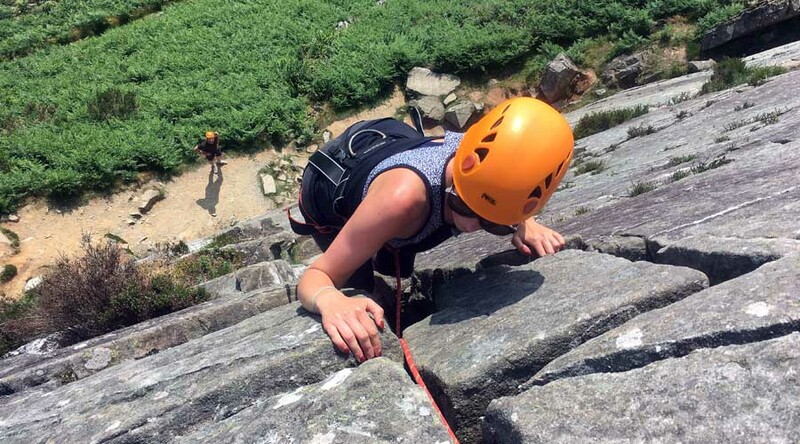 If you're interested in progressing from indoor climbing to outdoor climbing, learning to lead trad or sport climbs, we can run a tailor made course for you. 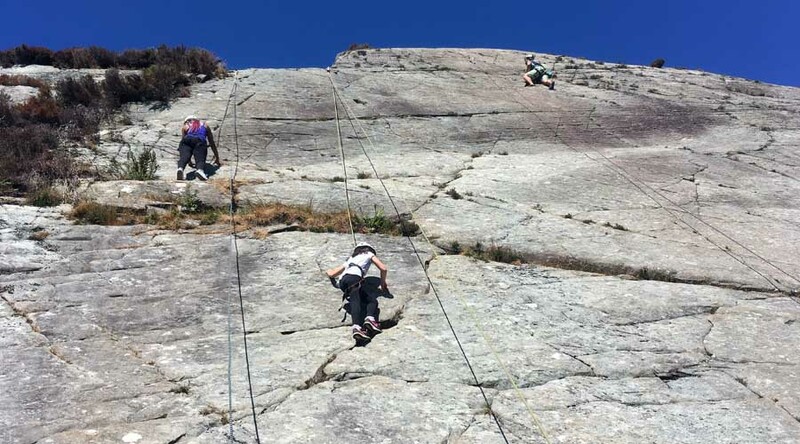 You'll be taught how to tie in to the rope, how to look after your climbing partner, and you'll be given the skills needed to climb the route. 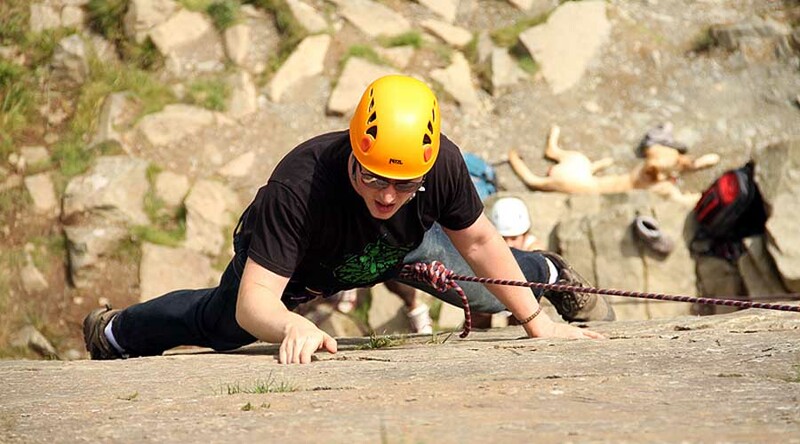 Our rock climbing sessions are aimed at people with little to no prior experience. If you've climbed inside, that's a bonus! 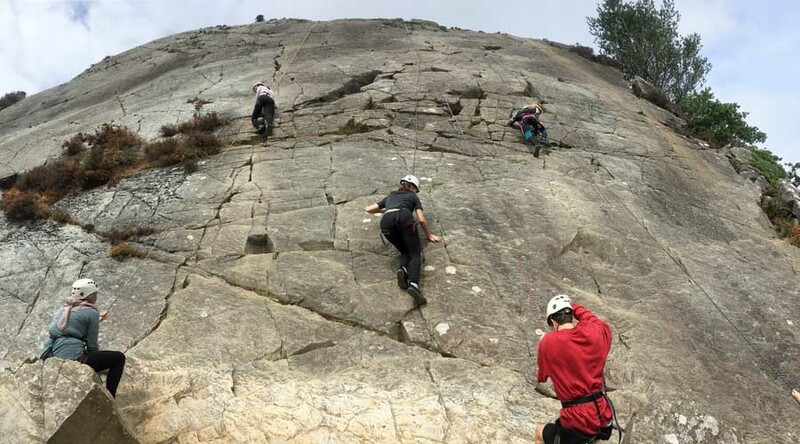 Rock Climbing is normally combined with Abseiling; during a session we aim for everyone to climb at least 2 or 3 routes, and complete an abseil.